Welcome to the 3rd in my Passport series about composers around the world. I first traveled to France for my senior year in college (I’ll leave out the year! 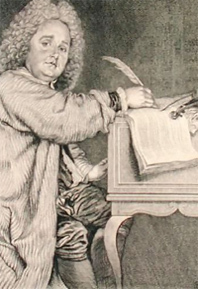 ), so my latest composer is a French baroque composer named Jean-Féry Rebel. I first discovered his music last year at a concert with the Columbus Symphony Orchestra titled “In Nature’s Realm” at which Rossini’s William Tell Overture and Beethoven’s Pastoral Symphony were also being played. Yeah – I bought my ticket for the William Tell, but was pleasantly surprised by the Rebel piece. So much so, that I went back the next day to watch the entire concert again. Yeah – it was that awesome! Jean-Féry Rebel (1666-1747) was considered a prodigy on the violin. He was the son of Jean Rébel, a tenor in the choir of the Louis XIV’s private chapel. He eventually came to study under the Royal Composer, Jean-Baptiste Lully, who had been working as Court Composer for instrumental music under the king. 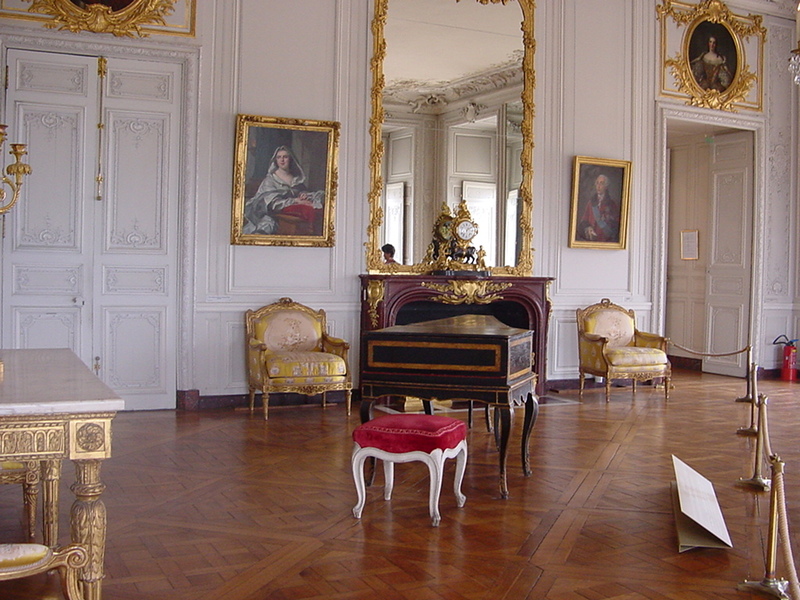 Considered quite a prestigious ensemble, Jean-Féry earned a spot in the Vingt-quatre Violons du Roy, the 24 Violins of the King, where he played until becoming the Chamber Composer to Louis XIV. Eventually, he wrote a tribute to his teacher called, Le Tombeau de Lully (The Tribute to Lully). This kind of chord was the first of its kind – something not really heard again until the Romantic era by (I think) Shostakovich because it was so unusual. In my humble opinion, part of the beauty of baroque and classical era music is that it resolves and is symmetrical in sound, but in his day, Rebel was ahead of his time. Principal bassoonist, Betsy Sturdevant, went into more detail about this piece in her blog before the Columbus Symphony Orchestra performed it last season. Thanks for reading about Maestro Rebel! Next up will be Clara Schumann, a composer who is certainly not unknown, but her composing is typically overshadowed by that of her husband. I’m looking forward to learning more about her and hope you are as well! Tags: Classical Music, France, Jean-Fery Rebel, Passport, Profile, Travel. Bookmark the permalink.